(VEN) - Today, Abbott announced the launch of its most innovative infant formula yet, Similac Eye-Q Plus with HMO, special immune boosting ingredient previously found only in breast milk, a ground-breaking development in infant nutrition science. Breast milk is considered the gold standard to feed an infant, and breastfed babies tend to have stronger immune systems compared to those who are fed formula. This is due in part to the unique immune-nourishing qualities of HMOs. HMOs are the most abundant solid component of breast milk after fat and carbohydrate (lactose), and research has shown this special ingredient plays a fundamental role in a baby’s digestive health and immunity. For some parents, breastfeeding is not always possible, but thanks to nearly two decades of pioneering research, and more than 20 clinical and pre-clinical studies, scientists at Abbott have created the most advanced baby formula yet, to help ensure all babies can receive the nourishment they need to thrive. Until recently, HMOs have only been present in breast milk; however, in the biggest breakthrough in infant formula research of the last decade, Abbott has now included the most prevalent HMO in most mothers’ milk, 2’-fucosyllactose (2’-FL) HMO* in its Similac formula. Barbara Marriage, Ph.D., R.D., Global Science Lead, Pediatric Specialty Nutrition, Science and Medical Affairs at Abbott commented: “Breastfeeding is the gold standard of nutrition for infants and young children and all parents want to know that their child is getting the nutrients they need to grow and thrive healthily. Mr. Douglas Kuo, General Manager of Abbott Vietnam said: “Abbott understands that being a mom is one of the most beautiful things in the world. And as a mom, it's instinctive that you always want the best things for their child. But not all moms know that inside their breast milk, there is inner strength that can help the child build a strong immune system, giving the child the best tool they need to fight infections for themselves, not only when they're young, but also for the rest of their lives. At Abbott, we know that breast milk provides the nutrients a baby needs to thrive and we have spent more than 15 years researching HMOs and gut health, so that we can really understand their role in supporting the development of a baby’s immune system during the critical first years of their life. Research published by Abbott scientists in the - Journal of Nutrition - the premier journal in nutrition science field, studied more than 200 babies to compare the differences between breastfed babies and those who had been given a formula with 2’-FL HMO*. The peer-reviewed study found that babies given the fortified formula had almost identical levels of five key immune markers to the breastfed babies. This shows that harnessing the benefits of 2’-FL HMO* in infant formula can help close the gaps in immune function between formula and breastfed babies. 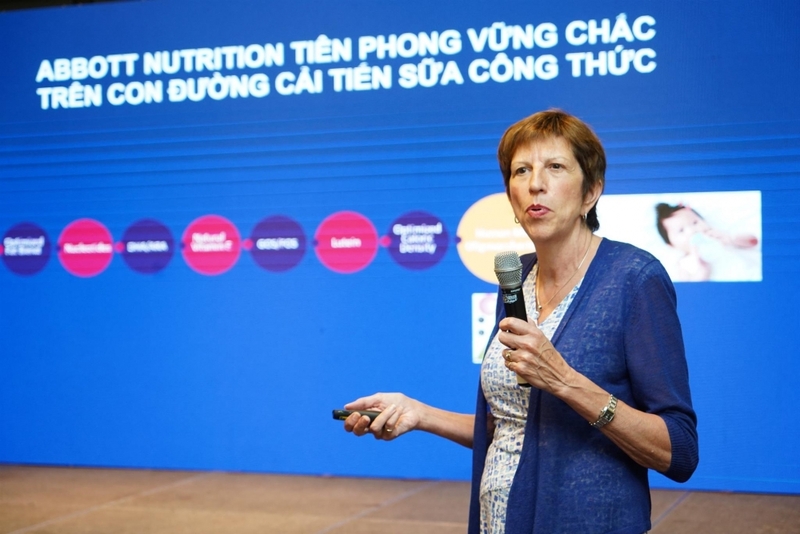 “Being able to include this important nutrient in formula is one of the biggest advances in infant nutrition of the last decade. Globally, Similac is the first formula to come on the market with 2'-FL HMO. 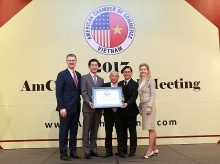 We are excited to be the first to introduce this advance to Vietnam and see how this can help build the strong foundation for Vietnamese children’s ability to learn, grow and thrive.” Mr. Douglas Kuo added.